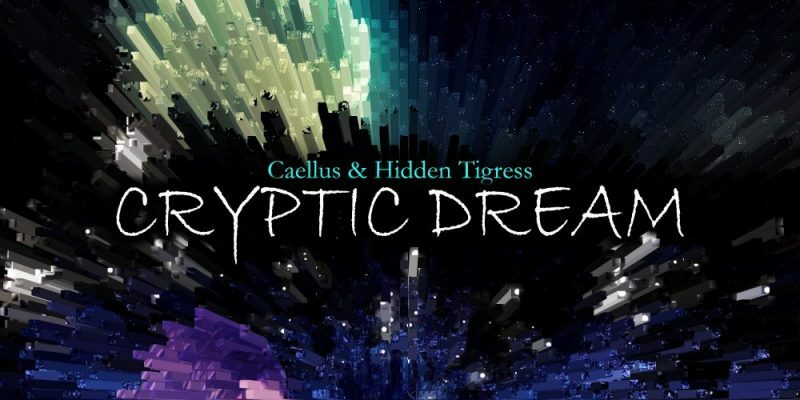 There’s a little something different and fresh about this latest collaboration from Caellus & Hidden Tigress. The music has a huge ambiance about it, but for the most part the sound has a somewhat minimal backdrop. The focus is instead on the delicate energy of the track; the whispered vocals, the story unfolding within the lyrics, and still, as always, the profound way in which the music builds up towards its ever compelling climax. At a radio worthy length this time the track feels a little short when considered alongside what we’ve come to know and love from World Of Caellus, but it makes a lot of sense, and with the lyricism involved the story takes on a world of its own entirely and invites you to explore it as the words and the sounds travel by. Cryptic Dream is a track that quite simply has something about it that is striking and captivating. The words fall into your mind almost like drops of rain, each one surrounded and supported by its various musical counterparts, and so the whole thing as a complete soundscape is every bit as effective as anything else put out by World Of Caellus. It’s also a very refreshing discovery for those who may be new to the sound of Hidden Tigress – there’s an undeniable level of originality to the sound of the voice, the performance style, and indeed the lyrics chosen and expressed throughout. It’s an experience to listen to, not merely a song to have playing in the background – though in all honesty, it works brilliantly in either setting. The first few seconds of music set the mood superbly, the scene is laid out, and what follows is a blissful journey through what could at times pass for your very own thoughts. It’s everything great music should be; effective, distracting, intriguing, addictive. The wave of sound is further emphasised somehow by the rhythm of the piece, another unusual creative touch to remind listeners of the skill and artistry of all that is World Of Caellus. Find and follow World Of Caellus on Facebook and Twitter. Visit their Website for more information.